Obviously, we can't prove that our toys come to life when we're not around, because as soon as we check, they freeze until we leave again. It's like trying to see if the light inside a refrigerator really turn's off when you close the door, if the light also ran around the house and went on adventures when you weren't home. 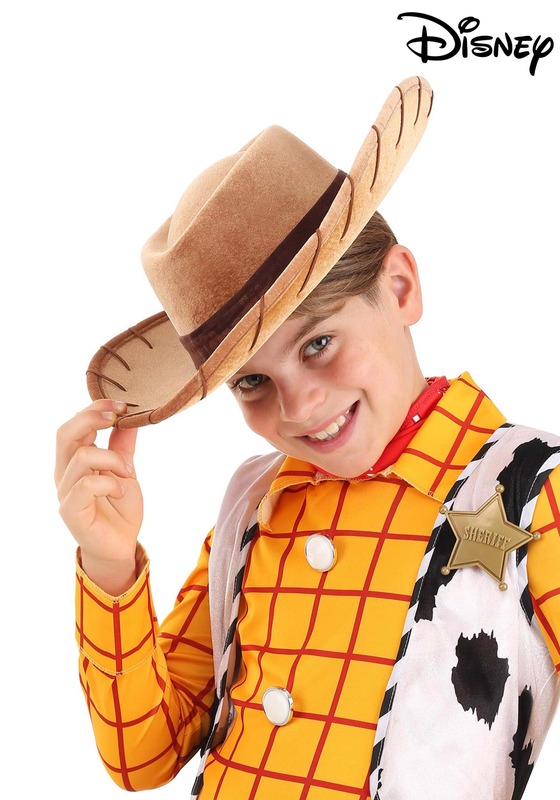 Whether or not toys get up and play when nobody's watching, your little one can still go on their own toy adventures in this licensed Woody Cowboy Hat, just like the hat worn by the faithful toy sheriff in the hit Disney movie series Toy Story! This brown suede-like cowboy hat will help keep the sun off your little cowpoke's brow as they ramble through some dusty western town. If they run into bandits, they'll look really heroic when he tells them to "reach for the sky!"